A compelling look at the serendipitous discovery of ten modern medicines, as well as useful discussions about the wider problems facing today’s pharmaceutical industry. Pharmacists will be aware of the heritage of many drugs used today and most will be familiar with the serendipitous discovery of penicillin. But some may be less acquainted with the role of happy chance in the unearthing of several other frequently used medicines. In Ten Drugs: how plants, powders, and pills have shaped the history of medicine, science writer Thomas Hager provides a biography of ten common drugs that have had an important impact on modern medicine. The book simultaneously charts the rise of the pharmaceutical industry and considers how its careful advertising promoted benefits of the latest wonder drug, while muffling adverse effects. The book begins with a chapter detailing humans’ long relationship with the poppy, which was once used for its euphoric constituent opium. Desire for the substance was insatiable and culminated in two opium wars between China and Britain in the mid-19th century. The chapter also describes how morphine was ultimately isolated from opium and became an effective painkiller in the 1800s, but also led to a plague of addiction. The second chapter depicts the development of vaccination; as early as 1717, aristocrat Lady Mary Wortley Montagu, who lived in Constantinople (now Istanbul), recorded the practice of ‘engrafting’ — the prototype of inoculation — in which someone would scratch the skin of a child until it bled, and then place into the wound a small amount of smallpox scabs. This induced a mild form of the disease from which the child would recover. A later chapter explains the origin of the term ‘a Mickey Finn’ — a drink that has been spiked with a drug — which emerged in 1915. It turns out that a saloon manager of the same name used chloral hydrate to sedate, and later rob, his semi-conscious customers. Chloral hydrate had been used to sedate mentally ill patients in the 1800s. It was interesting to see that heroin was once used in over-the-counter cough mixtures and approved for general use by the American Medical Association in 1906. While in the 1930s, work with azo-dyes by chemists at Bayer led to the discovery of sulpha-like drugs, which were effective antibiotics. Other breakthroughs include RP-4560 (chlorpromazine), an antihistamine that was shown to be valuable in sedating patients with mental health problems, and the fascinating development of the contraceptive pill in the 1950s. 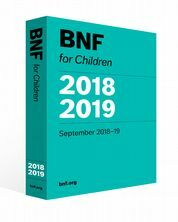 The book also covers more recent discoveries, including UK-94280, a drug originally developed to treat coronary heart disease, which had an unusual side effect in men; it was later named sildenafil and approved for medical use in 1998. Other opioid-like drugs, such as pethidine, methadone and fentanyl, are also described in some detail. Finally, separate chapters are devoted to statins and monoclonal antibodies — it is a travesty of justice that the two scientists who identified monoclonal antibodies in 1975 did not patent their discovery and, as a result, did not make any money from their work. The book’s epilogue focuses on looking forward to potential innovations such as the polypill, which contains a combination of many medicines commonly used to treat heart disease; digital drugs, which send out signals once they have been consumed; and personalised medicine, based on an individual’s unique genome. Hager finishes with a discussion of the problems facing the pharmaceutical industry. The rate of new innovations is ebbing, and sales are flattening; and in addition to persuading doctors to prescribe their drugs, the industry is lobbying an ever-widening group, including media personalities, lawyers and patient advocacy groups to improve sales. This well-written book offers a captivating backstory of each of the selected drugs and how, as the book’s subtitle suggests, they shaped the history of medicine. 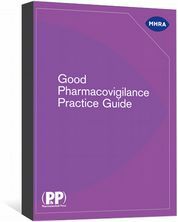 An essential guide on pharmacovigilance of medicinal products for human use. Practical advice for developing effective pharmacovigilance systems. NHS ten-year plan: good for pharmacists, but what about pharmacies?